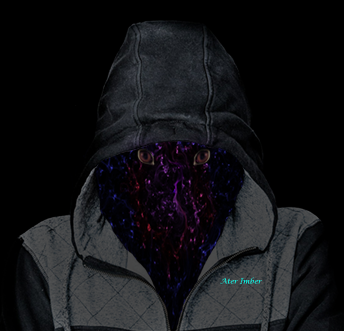 Ater Imber became interested in writing fan fiction in 2013 after being talked into giving the Deviant Art website a chance. Ater began posting to the delight of Supernatural fans and continues to write new fan and non-fan fiction stories with regularity for an eager personal following. Ater also currently has four novellas available for purchase. First Try is Aters’ debut, non-fan fiction novella, and is the newest released. It’s a collection of short stories Ater wrote during school after getting serious about becoming a writer, book-ended by the two ‘long’ first stories Ater ever wrote, published November, 2018. Ater’s third fan fiction novella, Holiday Treats, is about the holidays, forbidden love, and what can go wrong when the two collide, published in December 2016. Ater’s debut fan fiction novella, Don’t Get Caught, is a collection of short stories centered around a love theme, published in February 2016. Last, but certainly not least, Ater’s second fanfiction novella, Melting Hearts, Sunburns and Tanlines is a collection of short stories with a main theme surrounding going on vacation, published in August, 2016. All three of Ater’s fanfiction novellas are based on the T.V. series Supernatural. To check out these books, you can find them here.